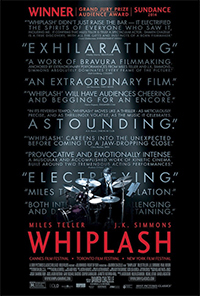 Andrew (Miles Teller) is a young and talented drummer attending a prestigious music academy who finds himself under the wing of the most respected professor (J.K. Simmons) at the school, one who does not hold back on abuse towards his students. The two form an odd relationship as the student wants to achieve greatness, and the professor pushes him. Alpine Cinema, 6817 5th Avenue and Bay Ridge Avenue, Brooklyn.